28. HOUSE OF HORRORS Title: Merv Griffin's Dance Party! This release is American singer, TV personality and "Jeopardy!" 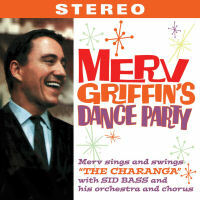 game show host Merv Griffin's 1960 album "Dance Party" first time on CD including the hit song "The Charanga" and rare bonus tracks from single releases.